← Walls, windows and a door; oh my! I thought you all might like an update on our sweet Rosie after her sad ordeal. (I was out cleaning the yard and she jumped on this barrel to beg for attention). I first kept her quiet, inside so I could monitor her closely and let her rest and heal. But in the past few days she seemed ready to rejoin her girl pack. The fresh air, exercise and sunshine are good for her continued healing. Her appetite is good (too good!). The little chunk tries to vacuum everybody else’s crate out in the mornings. 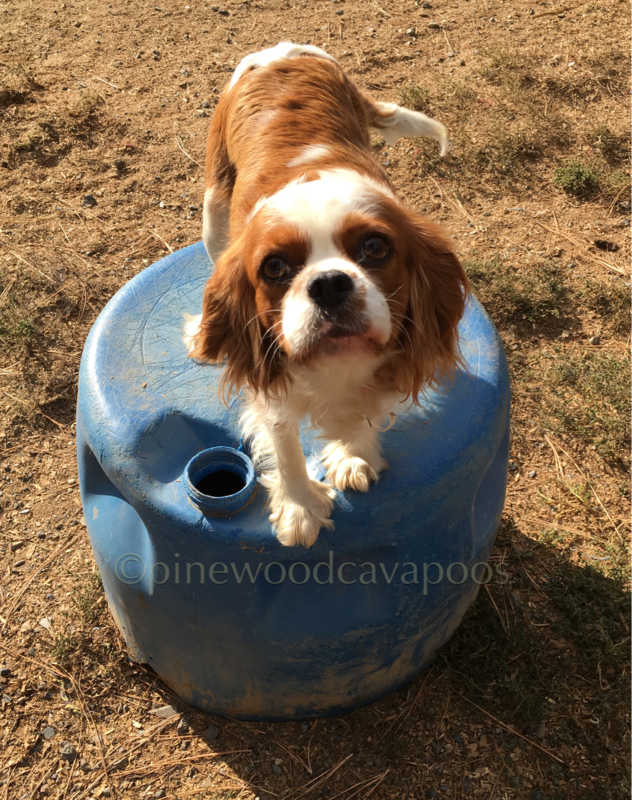 This entry was posted in Cavalier and tagged appetite, blenheim, Cavalier, Cavalier King Charles Spaniel, exercise, fresh air, girl, heal, healing, monitor, ordeal, pack, prayers, rejoin, rest, rosie, sad, she, sunshine, super, support, thank you, update, vacuum. Bookmark the permalink. thanks so much for letting us all know, here in NY is a dog loving lady who actually wonders and kept in mind a mommy dog far across the country, Maybe because I have had a lot of miscarriages myself, but its good to hear she is on the mend and back having fun too. Keep up the tales of your tails, much appreciated. wishing you much more love, luck and luscious little ones.